I’ve been collecting ideas on Pinterest and thinking of new decor and adventures to create in our home this year. I’ve always loved the holidays and the advent calendar. I’m especially giddy about it this year because we have a little one (19 months old) to start sharing the season with and creating our own memories and traditions. 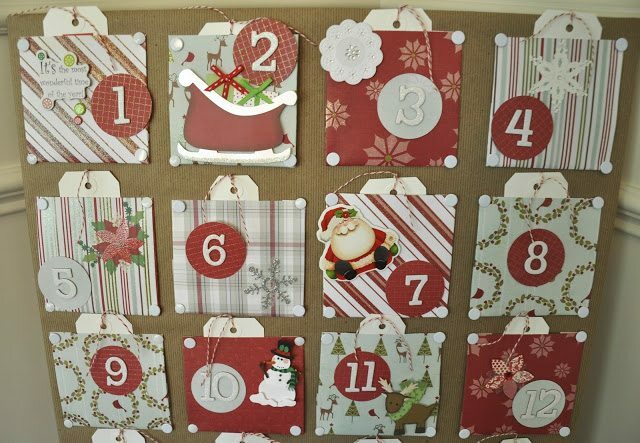 I made this advent calendar with our family in mind, and considering our child’s age, but of course you can personalize it to suit your family’s needs. I printed the labels on the computer and taped them to the tags with Japanese tape. 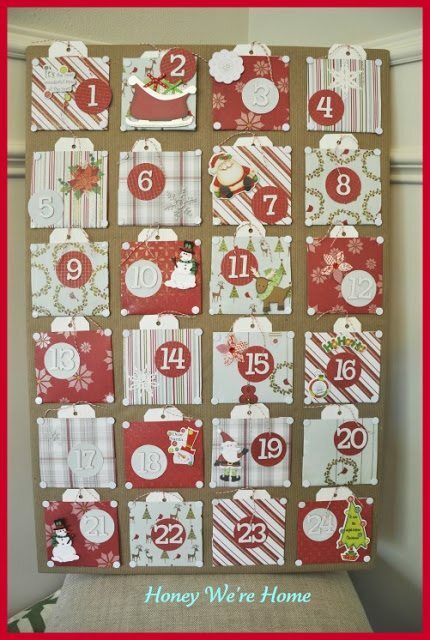 I’m hoping to have this advent calendar for years to come in our home! Wow, I love this idea and it turned out perfectly! 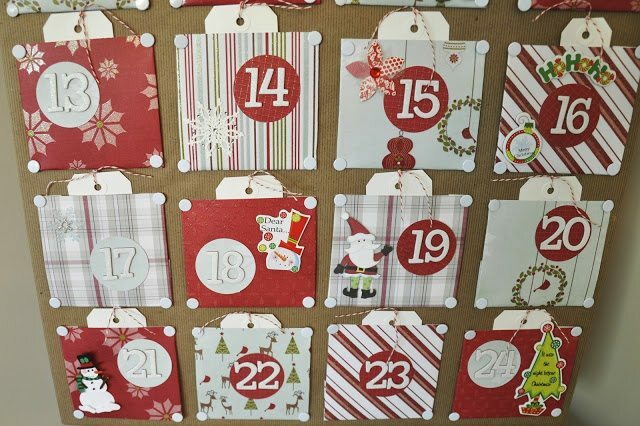 Your advent calendar will make for such a fun December with your family! Amazing! Just beautiful, Megan. I am sure James will love it for many years to come. 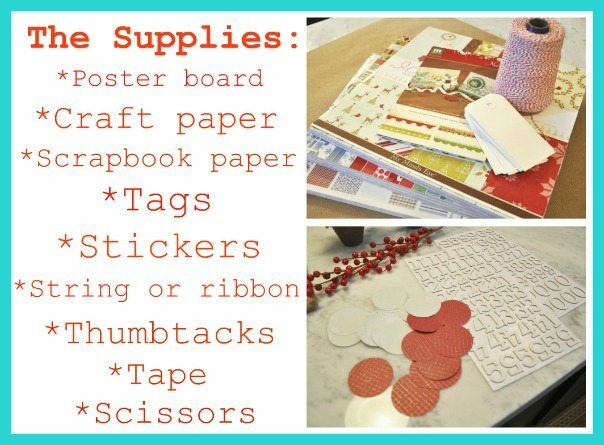 What size cork board did you use? I love advent calenders! They help create the magic of the season! Great tutorial Megan! Love it. I'm making one this year. My kids are super excited!!!!! That's a really lovely project! Have fun revealing each activity! You really did an amazing job on this one! I love, love, love this idea! My little girl is too little, but I'm saving your list of activities for next year when she will be around your little guy's age. Great project!! That's a perfect Advent Calender! Your son is going to love it! That is the most adorable Advent calendar I have ever seen! So fun, Megan. I'm a big one on traditions and it's great you are starting this when James is so young. He will love it and look forward to it each year. You did a great job making it. I love it Megan! It is beautiful. And yes, it will become a tradition James will look forward to year after year. We have always had some form of an advent calendar or a countdown. The girls always look forward to it. It's darling! It's one of my little guy's favorite traditions and he is 13! I love this! I think I'm going to be doing the exact same thing for my house this year! Thanks for the wonderful idea! What a beautiful new tradition! I love the advent calendar. Will definitely be using this. Thanks for sharing! That is amazing! I plan on buying one, not quite as ambitious as you. I have started to purchase some Christmas decor and stuff for projects too! I love this! And love that each of the projects is totally doable (drink hot chocolate with marshmallows? I think we can handle that! )Thanks for sharing! this is adorable…and easy enough that even i could do it 😉 thanks lady! Love this! 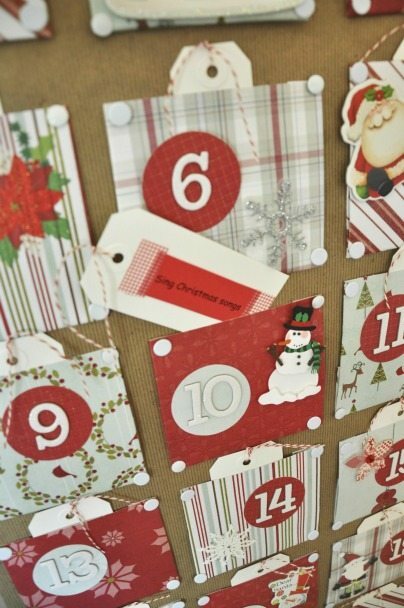 We never did Advent Calendars growing up, but I've been thinking I want to make one for Evie.. such fun memories! I love this!! Where did you get the poster board?? This is really cute. I would love to start a tradition like this with our little girl. But she's not due for another five weeks so I may need to wait another year or two, haha! This is such a cute idea! 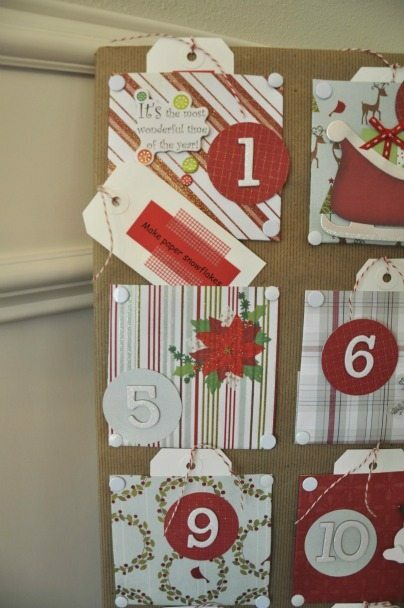 We have an Advent Calendar for our daughter, it has small doors….just may use some of your message ideas this year. Thanks for the inspiration! This looks awesome, Megan! Love the look and all the little things you get to do! So creative. Love, love your calendar! It's a beautiful tradition I did for our son (now 26)! He loved it! It's such fun and means so much! 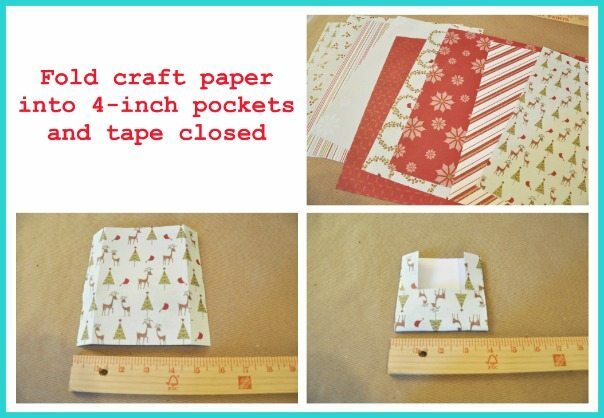 Mine wasn't as well made, I just bought red legal size envelopes, sealed them then cut them in half to make 2 pockets out of each envelope, then attached them to green poster board and decorated! Yours is gorgeous! P.S. For the comment saying she would wait until she has kids….I originally got the idea from a newlywed who grew up with her parents doing it for her..now she and her husband alternate days putting a card in for each other..isn't that sweet?